Keep track of your next dominoes game scores and winners without the need of looking for pen and paper. 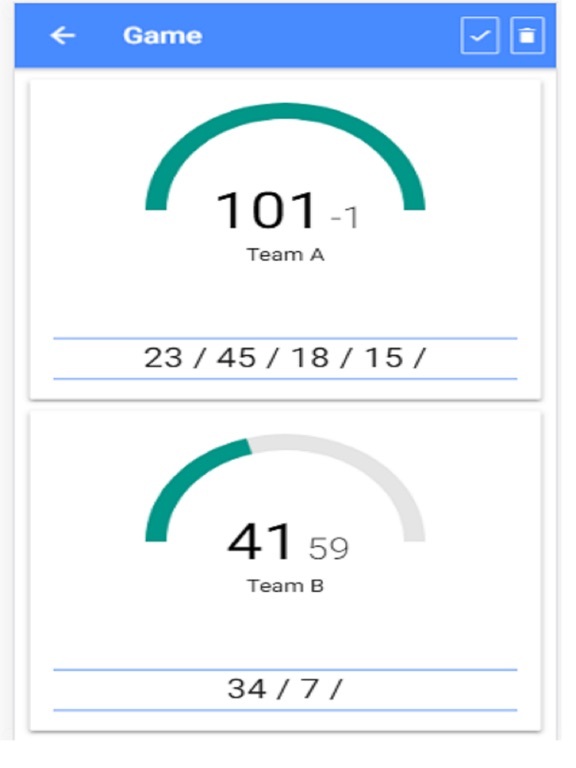 We provide game scores with Chart components instead of just plain numbers. using Chart is a better way to understand and tack your game scores. - Chart visualization for team win/lost results. - Chart visualization for game scores. - Set game winning score . - Audio notification when reaching winning score. - Filter game history and winning results by date. - User following a tournament can refresh scores on demand by clicking a refresh button on the top bar. - Team names are stored as user enter them, so user can select an existing team name when setting up a new game.